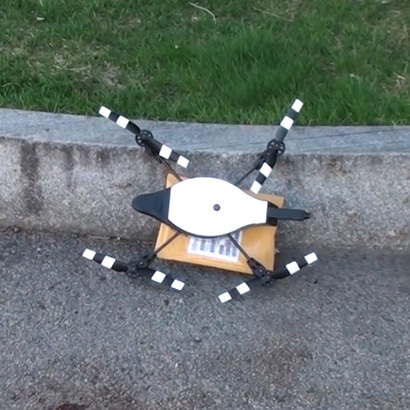 A collaborative team composed of Northeastern University (Taskin Padir and Robert Platt) and UMass Lowell (Holly Yanco) have received a NASA Valkyrie robot, building off of the team's work with humanoid robots at the DARPA Robotics Challenge. 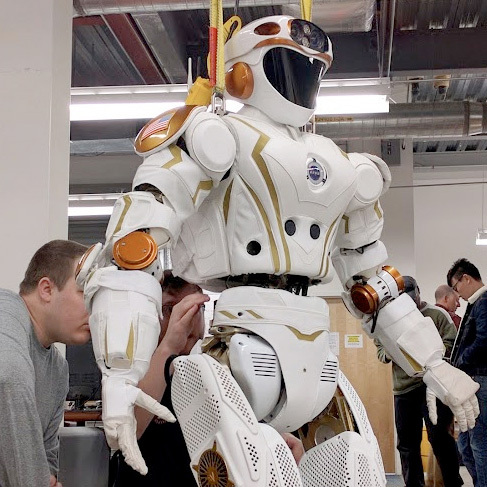 Valkyrie is currently housed at MassRobotics where researchers are working on improving the robot's ability to walk, climb obstacles, manipulate objects, and interact with humans. 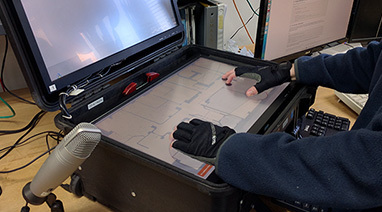 The labs' research in multi-touch technologies spans across a variety of hardware including the Microsoft Surface, 3M Multi-touch Display, Circle Twelve DiamondTouch, and the Apple iPad. To date our research been focused on the control of individual and multiple robots for search and rescue purposes as well as the development of the DREAM (Dynamically Resizing Ergonomic and Multi-touch) Controller. A major limitation of the current generation of robots used in disaster recovery situations is difficulty of sharing information between first responders. 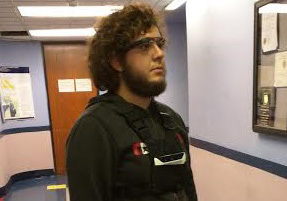 The aim of our work is to unify the manner in which both agents receive information by augmenting a first responder on the field with Google Glass and Project Tango. By using these technologies, both first responders and robots can provide the same level of information back to a command center (i.e., IMU, 3D imagery) and be commands can be conveyed in a similar manner (i.e., directional commands for movement). Our application uses a touch-enabled command center that enables simultaneous commanding of both robot and human agents. We are investigating how to design effective interfaces for people with mobility difficulties, such as cerebral palsy or spinal cord injuries. 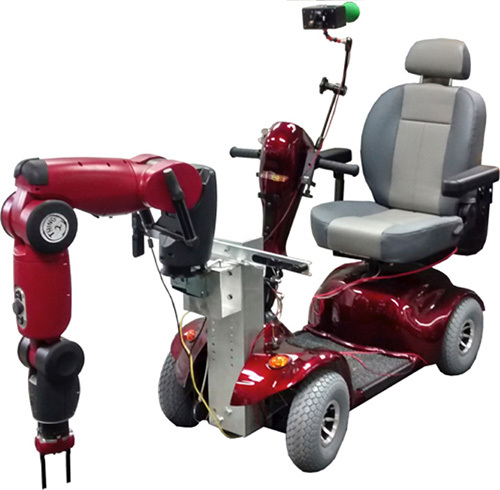 To this end, we have augmented a powered scooter with an arm from the Rethink Robotics Baxter system. Baxter's other arm is mounted on a cart that is intended to be used while next to a wheelchair. Using these systems we are developing experimental interfaces and interaction techniques to manipulate objects. Fully autonomous robots are progressively becoming capable of operating in the unstructured environments of everyday life. Work on methods for detecting and preventing failures, is improving the reliability of autonomous systems. Still, the ability to create fully autonomous robots, capable of perfectly reliable operation within the unstructured environments in which people live, remains far from realistic. 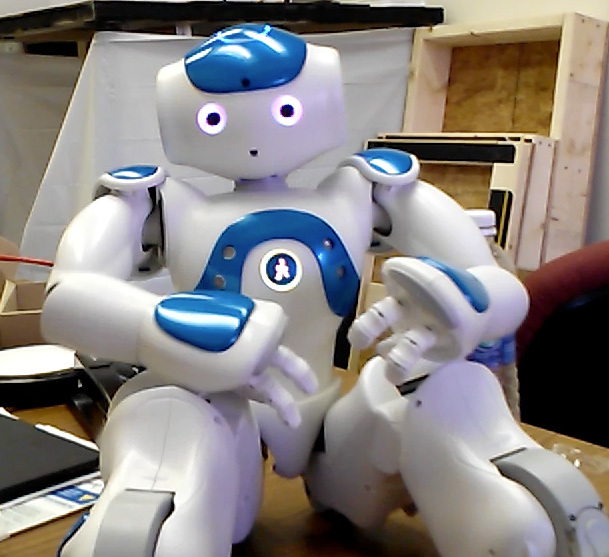 We are investigating human-robot interactions occurring during failures of autonomous robotic services. A significant amount of robotics research over the past decade showed that many children with autism spectrum disorders (ASD) have a strong interest in robots/robotic toys and concluded that robots are potential intervention tools for children with ASD. The clinical community and educators, who have the authority to approve robots in special education, however, are not convinced about the potential of robots. One major reason behind this gap is that the robotics research in this domain does not have a strong focus on the effectiveness of robots. Our research aims to bridge the gap by designing a learning from demonstration (LfD) framework for robot-mediated special education service delivery for children with ASD and other disorders of a similar nature. Development on ROS.NET started in 2011 as a way to avoid complications with writing individual TCP protocols to control robots running ROS using a Windows-based user interface. 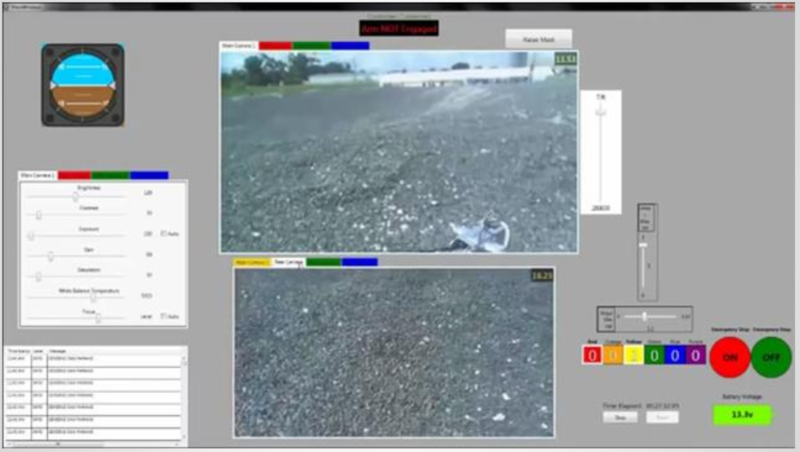 It has proven to be a critical path for many projects, including our rover, the RoverHawk, winner ofthe 2013 NASA RASC-AL Robo-Ops competition, running a ROS.NET user interface in Lowell, MA to control the robot running ROS at the Johnson Space Center Rock Yard in Houston, TX.